Not since the 60s and the Summer of Love, hippie beads, and macramé hanging baskets, have houseplants had such a day in the sun. Maybe it’s no surprise that Greenery was Pantone’s color of the year—people just can’t get enough of the hue in their homes. Here’s a roundup of the trends that bring Mother Nature inside. 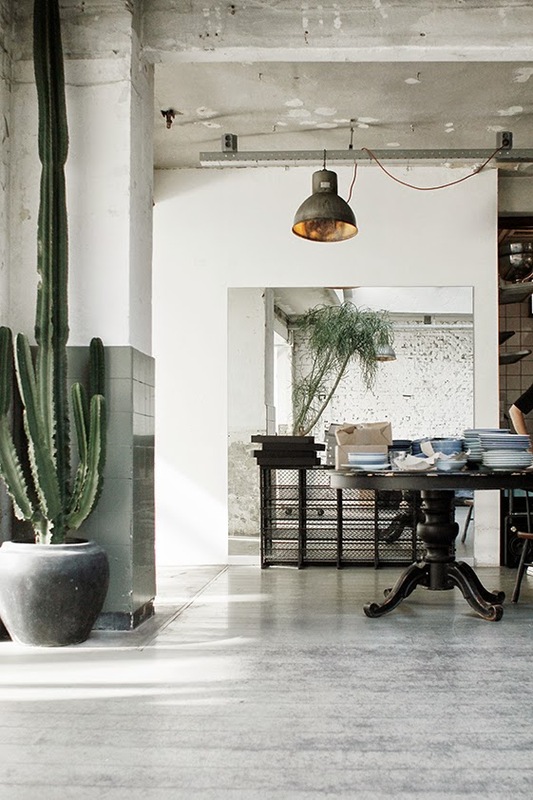 Cactus, succulents, and bromeliads are the housecats of houseplants: easy to care for, indifferent to human interaction, and design objets in themselves.They work especially well with dramatically tall ceilings and contemporary architecture. Succulents can make a big impact when grouped on a entry table or window ledge. And their color palette is infinite, from cool blues to intense purples and oranges, so they can fit in almost any decor. Bromeliads take an infinite amount of neglect. Their natural habitat is to thrive under deep subtropical tree canopies so they are happy in steamy bathrooms with whatever sunlight is available. 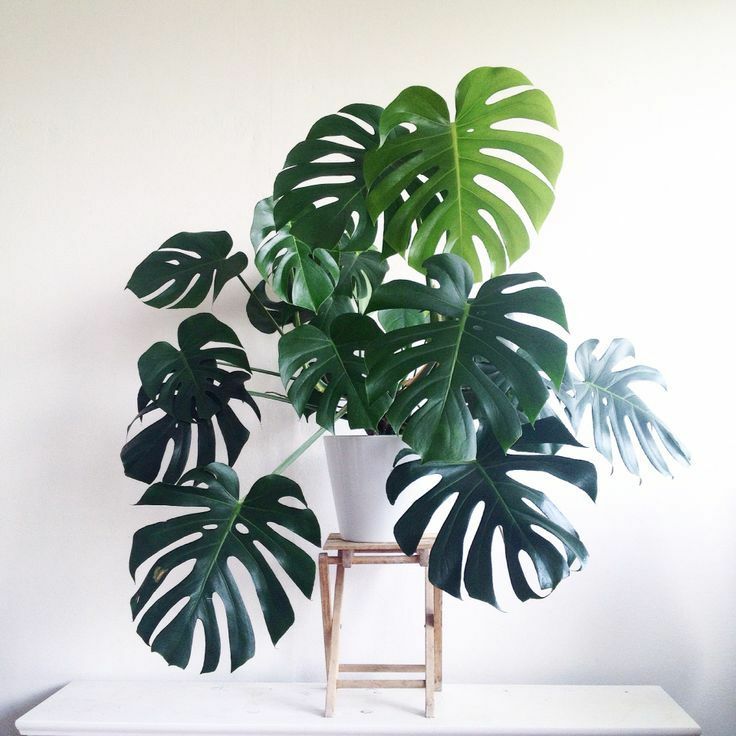 Houseplants are not just for your freaky niece who’s into crystals and vegan leather shoes. They can fit into the most formal and traditional of home decors as evidenced by this elegant space, one of Martha Stewart’s many living rooms. Here she uses sturdy jade plants, another reliable succulent, trained as small trees and placed on twin columns. As with all interior design, scale is key and a successful use of houseplants depends on approaching them as if they were another piece of furniture or design element. The spectacular Areca Palm in this sitting room gets it right, as its size, color and texture are a perfect complement to the existing eclectic mix of woods and neutrals. Can a houseplant win a popularity contest? If so, then the ubiquitous Fiddle Leaf Fig has been declared the champion. It’s everywhere you look and shows no sign of fading. It works well with almost any interior style and makes a big impact in the corner of a room where there’s a window to keep it happy. It’s lush profusion of oval leaves just keep coming and the most pressing concern is keeping it from overtaking the room. Trimmed myrtle topiaries have a beautiful combination of spindly stems, delicate foliage, and thoroughbred formality is just right for today’s gray/white palette of Swedish and French eclecticism. While the topiaries are hard to find in most nurseries, Amazon can send one to your door. Another houseplant currently having a moment is Monstera Deliciosa. This variety of easy-to-care-for philodendron immediately imparts tropical vibes to any room. It split leaves are highly graphical, glossy and dark green—making it a powerful punctuation mark that is beloved by photo stylists. In fact, if you have no green thumb but want the look, IKEA and West Elm both sell a faux leaf that you can pop in a crystal vase for your coffee table. No watering needed!